Ever wondered how those high peaks in the Main Range got their names? Most of us have heard the story behind the naming of Kosciuszko, but some of the others aren’t well known. Here’s a potted history of the naming of the main peaks along the range. The three notable 2000m peaks in this group are the most southerly in NSW and arguably part of the Main Range. The central one is The Rams Head (2193m), 4 kilometres south of Kosciuszko. This group also includes North Rams Head (2178m) and South Rams Head (2053m). An early grazier most likely named them. Stewart Ryrie was the first European to ascend this range on 15 February 1840. He wrote, “… On gaining the summit, I saw one of the highest points covered in snow to be distant to the northwest about three or four miles but finding it too late to reach that point.” That point was Kosciuszko, first ascended by another European just one month later. 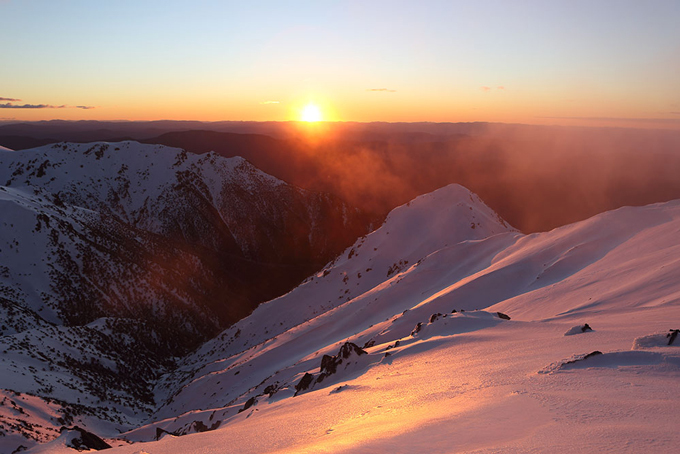 On 12 March 1840, scientist and explorer Paul Strzelecki climbed the peak we now know as Kosciuszko. A native of Poland, he named it after a Polish general and military hero, Tadeusz Kosciuszko. 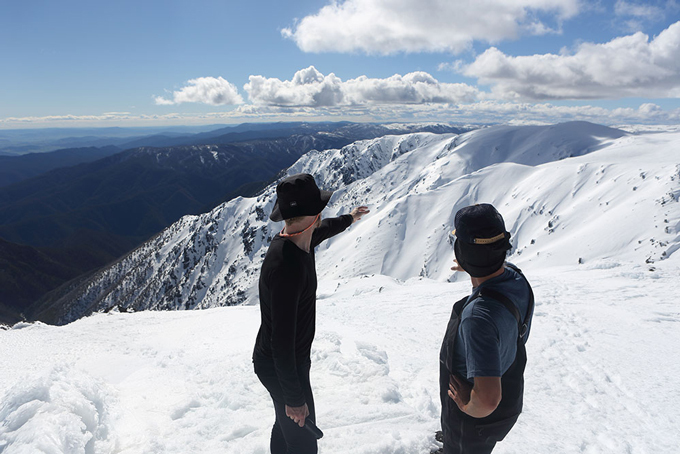 For many years, it was thought that he had mistakenly called Mt Townsend (which he climbed first) but the weight of expert opinion now supports him having then climbed and named Kosciuszko. He ascended from the Geehi Flats up what is known as Hannel’s Spur. It nearly got the name “Wellington,” in remembrance of the hero of Waterloo, who died in 1852, but this was averted and “Kosciusko” made it onto official colonial maps in 1853. Named by Austrian zoologist Dr Robert von Lendenfield after a visit to the area in 1885. Abbott was the name of then NSW Minister for Mines, “… whose liberality and protection of scientific research demands the esteem and gratitude of every scientific man.” He wasn’t laying it on too thick mind you! The mountain named after the great surveyor of the Main Range, Thomas Scott Townsend. He surveyed the entire range, including the Ramshead Range, right up to Mt Tate in 1846 and 1847, without actually naming any of the peaks himself. Ironically, Townsend was one of the few peaks upon which he never set foot on. For some years in the late 19th century, Townsend was known by the local cattlemen as Mueller’s Peak, after the botanist who ascended the mountain in the 1850s. Named after the German botanist Ferdinand von Mueller. Mueller made trips to the Alps in 1853 and 1855, escorted by a famous Jindabyne cattleman and mountain guide, James Spencer, who had a property at Waste Point (now under the lake). As often happened in the early days, there was a time when this peak was called Mount Clarke, after another avid explorer of the 1850s, the Rev. W B Clarke. Named after the Rev. William Branwhite Clarke (“WB” to his mates, no doubt). Clarke, a geologist, was commissioned by the Governor of NSW in 1851 to find minerals in the Snowy, particularly gold. He didn’t find much gold but his name lives on with this famous peak. He is also remembered for confirming that glaciers once existed on the Main Range. He was also a headmaster of the Kings School at Parramatta. Most likely named after the Governor-General, Henry Stafford Northcote (1903-1908), also known as Baron Northcote of Exeter. Very posh but apparently not very bright. Little information out there on this one. But it was most likely named after Charles Alfred Lee. A politician, and co-founder of the Murrumbidgee Irrigation Scheme who took over leadership of the newly formed Liberal Party of NSW in 1901 after the withdrawal of the favoured candidate, Sir Joseph Carruthers, the namesake for the neighbouring peak. The field naturalist Richard Helms (of the Sydney Museum) named this peak in the early 1890s after the then Minister for Lands, Joseph Carruthers, who went on to become Premier of NSW. Named after Edward Twynam, who was the Chief Surveyor for NSW in the 1890s. Earlier in his career, in the 1860s, Twynam had succeeded Thomas Townsend (the surveyor of the Main Range) as District Surveyor in Albury. Just a few degrees of separation! Originally called Mt Eadith Walker (yes, Edith with an “a” in it), after a wealthy and generous patron of the Geographical Society in the mid 19th Century. The current naming is quite recent, named after Charles Anton an Austrian migrant, who is remembered as co-founder of Thredbo and for many other achievements, including the establishment of the only two ski lodges on the main range – Albina (burnt by fire) and Kunama (destroyed by avalanche). Named, most likely by the naturalist Rev. Milne Curran in the 1890s, after the geological surveyor William Anderson. Curran is also responsible for naming Hedley Tarn (below Blue Lake) after his travelling companion and fellow naturalist Charles Hedley. Named after the geologist Prof. Ralf Tate of Adelaide. The South Australian connection continues with nearby Gills Knob being named in the 1850s after Thomas Gill of Adelaide, Treasurer of the Royal Geographical Society of South Australia. As the most northern of the 2000 metre peaks, Jagungal is the dominant peak on the northern skyline. It was noted and mapped by the government surveyor Granville Stapylton in 1833. First named on maps in 1851 as the “Big Bogong” and in 1853 formally received its current name. “Jagungal” is thought to be a derivative of an aboriginal word relating to the Bogong moth that migrates to the Alps every year. Those planning to ski this lonely mountain need to allow for a multi-day trip.